The input transformers are now shielded. 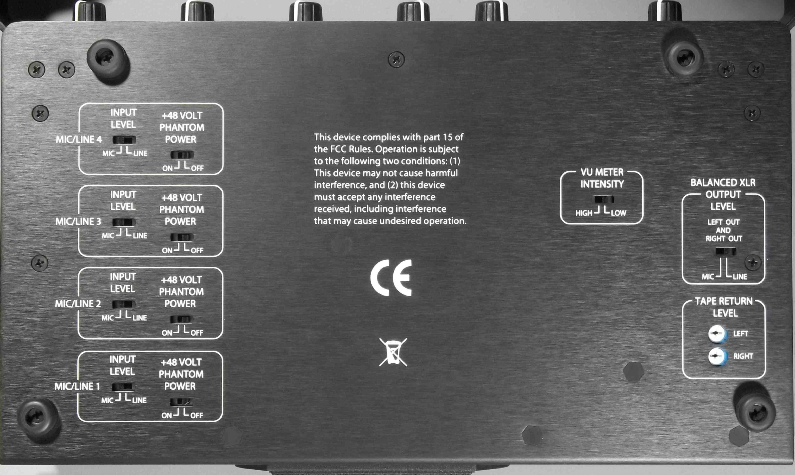 ENG-44A is now immune to the application of phantom power to its output. Low Cut improved to 12 db at 60hz. Low Cut switch cannot turn off a channel when set in between positions. We are not including the AC adapter as suitable ones (9v dc, 300 ma or more, or 12v, 300ma or more) are readily available throughout the world. The ENG-44A is a light weight, portable audio mixer for field video production, featuring low cost, a rich set of features and long battery life.